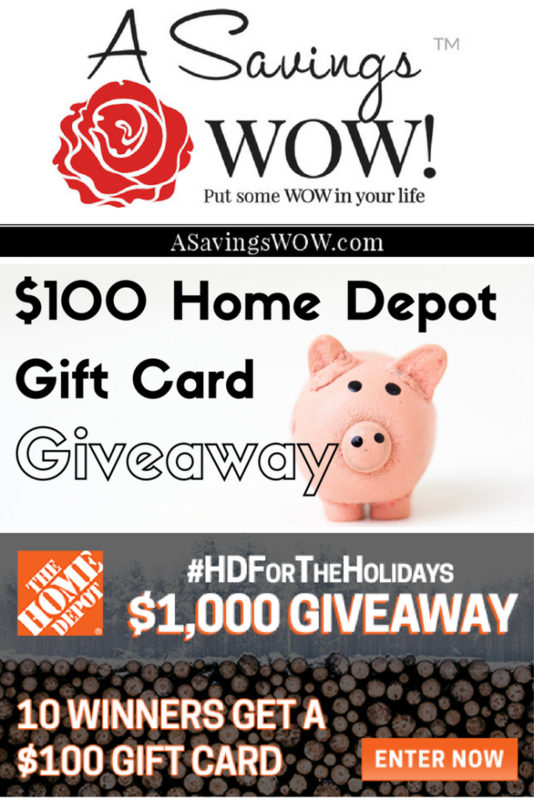 Home Depot Gift Card Giveaway | A Savings WOW! Do you have some home improvement projects that need to be finished? Could you use some great gifts this holiday? Enter to win a Home Depot gift card! 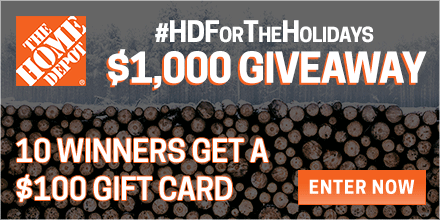 Ten (10) winners will each receive a $100 Home Depot gift card during this #HDfortheholidays giveaway.